^ Vishnevetsky, Ignatiy (March 17, 2016). 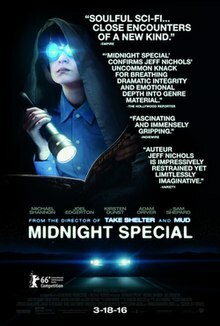 "Midnight Special is a unique blend of chase flick and sci-fi parable". AVClub.com. Retrieved 2016-04-04.